Bert is the son of William Samuel Wallace and Nancy Williams. Bessie is the daughter of George Britt and Louisa Williams. 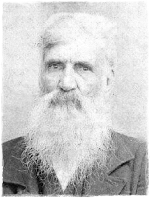 Husband of Sadie Sullivan and son of Joseph Hurley Caddell and Katherine Dowdy. This photo was labeled "Bryant Caddell" and another labeled "B Caddell's wife" was found in Viola Cagle McNeill Seagroves' photos after her death in Feb 2013. No one living can identify or give info. Bryant would have been Viola's grandfather Wm. Neill Caddell's half brother, same dad, diff mothers. He may have been in 60's in this photo-he died in 1911 @ age 75. All 12 children in 1944 [from top left] Carlton, Ethel [holding Ninky], Herbert, Margaret, Mabel [holding Dinky], Betty, Haroldine, Doris, Geraldine and Dorothy. [L-R] Lois Mae [Carlton's daughter], Eloise [Mabel's daughter], Geraldine, Haroldine, Doris Mae, Dorothy, Margaret, Betty Jean, Mabel [holding Denny], Ethel [holding Ninky], Herbert, Carson [holding Elaine] and Hattie [holding Eileen]. [L-R] Carson [holding Herbert], Carlton, Hattie [pregnant with Betty], Mable and Ethel. This is possibly Celia Bean Sullivan, wife of Jesse Sullivan.